An academic who has been teaching students about the various applications of mathematics for more than three decades has been welcomed by Advance HE as its 10,000th Senior Fellow. 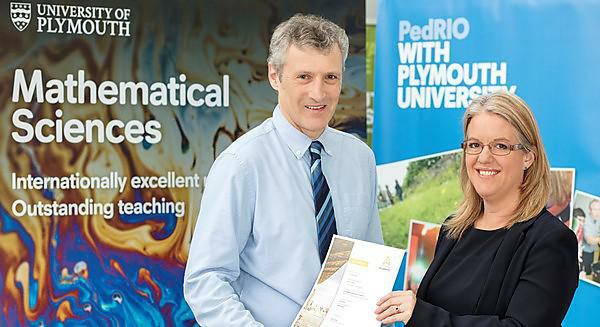 Dr John Eales has been Associate Head (Teaching and Learning) in the School of Computing, Electronics and Mathematics at the University of Plymouth since 2011. He is also Senior Quality Officer (Teaching Enhancement) in the Faculty of Science and Engineering, as well as continuing to teach modules on Medical Statistics on the mathematics degrees and Quantitative Methods on the Accounting and Finance programme. Since joining the University in 1990, Dr Eales has taught thousands of students across five faculties from Foundation through to Masters level. His new fellowship, applied for with support from the Teaching and Learning Support team, demonstrates his ongoing commitment to teaching, learning and the student experience. This was evidenced through a sustained record of effectiveness in relation to teaching and learning, while the application also involved one of his teaching sessions being independently reviewed.